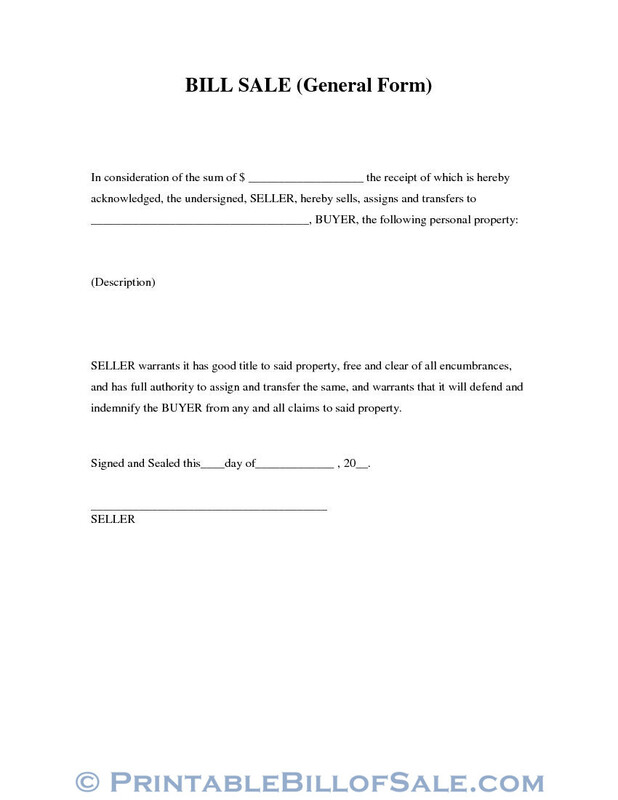 General bill of sale form is a general sale form which is used to handover the proprietorship of a valuable/property in exchange for financial benefits. This form is a legal document which is used in the USA. General bill of sale form is a kind of receipt, which the seller gives to the buyer as an acknowledgement of receipt of the amount. Therefore, in general bill of sale form, all information about the seller and the valuable (sr. number, if any and other identifications) are entered in detail, along with the sale price, which is in US dollars. The sum of amount in US dollars is given in the blank space. In consideration of this amount, the SELLER is selling to the buyer (the name of the buyer will be given in the blank space). Description of the valuable will be given here in full detail, including make, mark, serial number and any other detail which will identify the product. 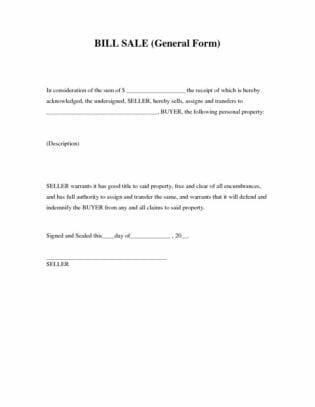 The seller ensures that the said property is having the good title and is free from all encumbrances, liens or hindrances. The seller further ensures that he/she has got the full authority to sell, transfer and assign this property to anybody, he likes. The seller also gives assurance that he will defend the buyer from any claims on this property in future. In this portion, the SELLER signs and gives the date, the month and the year.